Prepare to get soaked on this log flume based on the stories and characters from Disney's Song of the South. Splash Mountain is part log flume and part dark ride, themed around the Uncle Remus stories featured in Song of the South. The attraction's main storyline features the trio of Br'er Rabbit, Br'er Fox and Br'er Bear, and they are supported by a whole cast of other animals. Several dark ride sections tell the story through over 100 audio-anamatronic characters and catchy songs including "Zip-A-Dee-Doo-Dah". Scenes include Br'er Fox's Lair, Br'er Rabbit's home and Critter Cave. 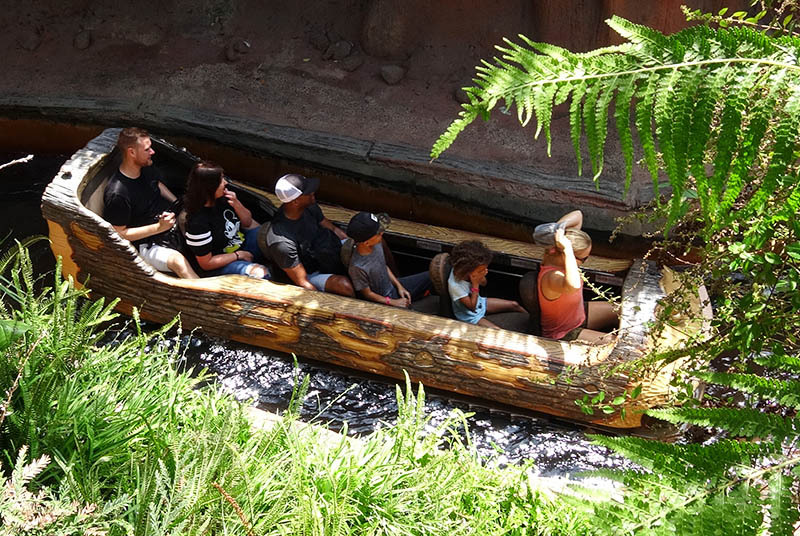 The flume's final drop from the top of Splash Mountain is clearly visible to onlookers throughout Critter Country, and has logs plummeting 50 ft into the briar patch. Depending on the overall weight of the boat, riders can end up with a near-complete drenching.